Last year, more than 25 percent of New York City’s special education students didn’t receive all the help they were legally required to get. That number was down from about 40 percent the year before. But even after the improvement, it meant some 48,000 students missed out on needed services — more than the entire public school population of Cleveland. 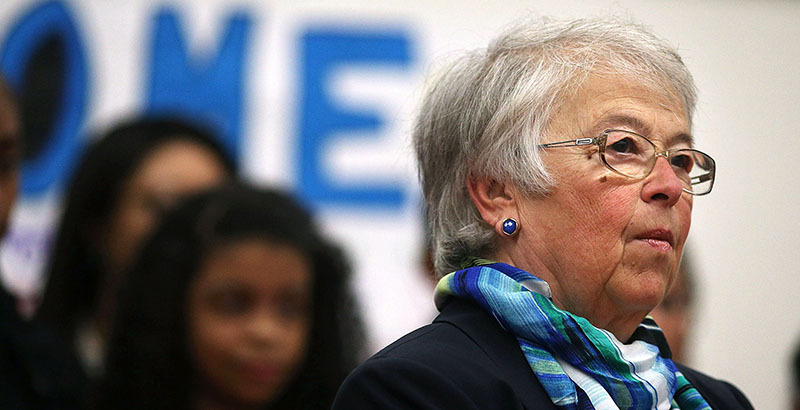 As Chancellor Carmen Fariña prepares to retire after four years in the post, those figures give a sense of the problems she leaves behind on special education, as well as the modest but measurable progress described by officials, advocates, and attorneys who have done battle with the city’s Department of Education over the years. They also give a sense of the scale of the work left to be done as Mayor Bill de Blasio searches for Fariña’s successor. Advocates said that many of the issues Fariña faced on special education predated her tenure or are nationwide problems, such as a shortage of qualified special ed teachers. They are also complicated by the sheer size of the city’s 1.1 million–student public school system, serving nearly 200,000 special needs kids. Fariña, Sweet said, has pushed middle and high schools that screen applicants to accept more special education students. In 2016, more than 2,500 kids with disabilities received an offer from one of the city’s selective high schools, compared with 1,000 in 2012. Fariña also expanded a program for students with autism that had started in a Brooklyn school she oversaw as district superintendent. The program, ASD Nest, puts autistic kids judged capable of doing grade-level work into small general-education classes with two teachers and extra supports, like social skills training. Last year, the program was in 39 schools serving all age levels. Sweet also cited the chancellor’s work on the mayor’s Universal Literacy program, which currently provides reading coaches to children in kindergarten through second grade in some Bronx and Brooklyn schools. The city plans to expand it to all elementary schools next year, with a goal of having all second-graders reading on grade level by 2026. Sweet said the program’s focus on young students could result in fewer struggling readers needing special ed services in years to come. The Special Education Student Information System, or SESIS, came online in 2009 to help teachers and administrators track the services students were supposed to get and those that were actually being provided. But it quickly became a morass of lost student data and misplaced referrals for services. Public Advocate Letitia James sued the department in 2016, saying SESIS not only was making it hard for students to receive services but also had cost the city more than $350 million in Medicaid reimbursements that couldn’t be claimed without proper documentation. Education Department spokeswoman Toya Holness said the city updated the software last year and is spending $16 million this year on additional work. “We are also planning more significant enhancements to the system in the future, including new improvements for tracking service delivery, data management, and reporting,” Holness said. James told The 74 she is monitoring the city’s progress before deciding on further legal action. Last year, James issued a report on vouchers, known as Related Service Authorizations, that are given to families when a school cannot provide out-of-classroom services like speech or occupational therapy. The report found that vouchers shifted the burden from the district to parents, making them responsible for finding providers and coordinating care. As a result, thousands of students were going without services, especially in poorer or more remote parts of the city, where access to specialists is scarce. James said that nearly half of the roughly 9,000 vouchers issued in the 2015–16 school year went unused. When asked by The 74 about the report’s findings on vouchers, Holness did not respond directly but said that in the 2016–17 school year, students received 95 percent of all required related services — a number that includes services provided without the use of vouchers. James Merriman, chief executive officer of the New York City Charter School Center, a nonprofit whose board includes a seat for the chancellor, called special education “probably the least politicized” issue between charters and the district. He said improvements under Fariña included small details: for example, students at charter schools that start in August no longer have to wait for special ed services arranged through the city until district schools open in September.